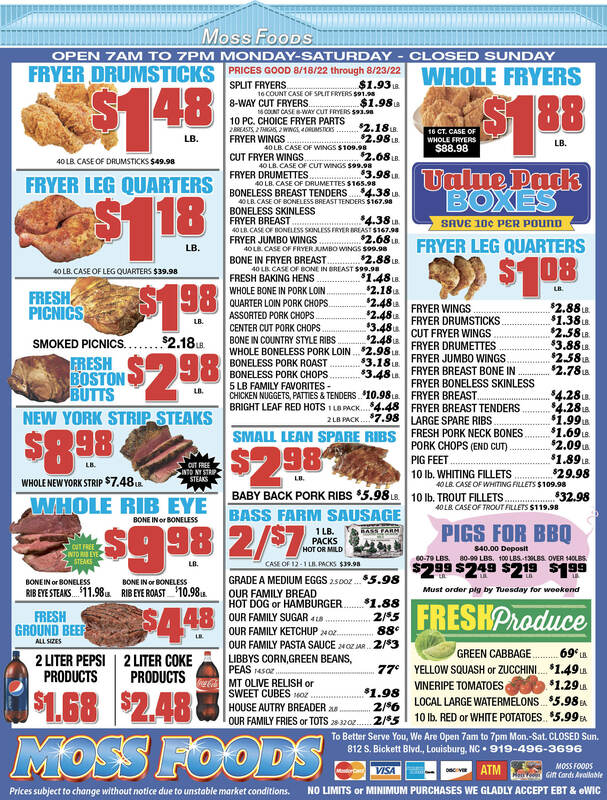 Showing 39 articles from February 7, 2018. LOUISBURG -- County commissioners awarded a $1.36 million contract to build sewer pump stations in Franklinton and Youngsville -- infrastructure that's expected to be a boon for both towns. A year ago, commissioners agreed to spend up to $60,000 for engineers to design and get permits for a new pump station in Franklinton. LOUISBURG -- Franklin County commissioners were set to debate a legislative proposal that opponents allege smacks of partisan politics. 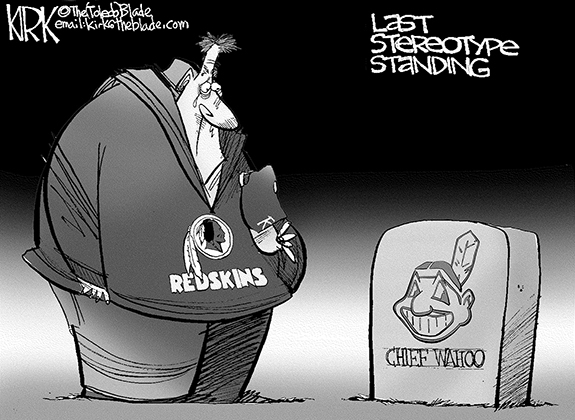 However, a party-line vote on Monday night prevented the matter from being added to the agenda. Last month, State Rep. Bobbie Richardson held a town hall meeting to explain the ramifications of proposals to realign boundaries for district and superior court judges, as well as district attorneys. 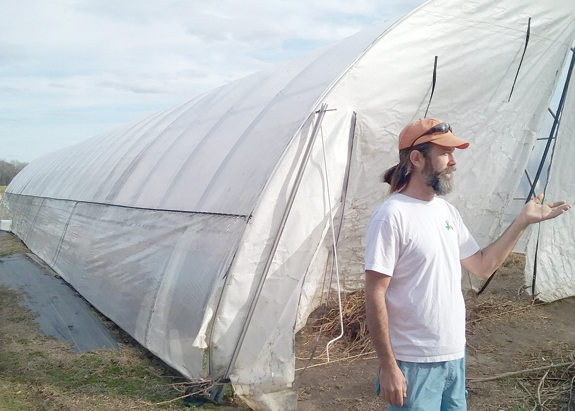 ZEBULON -- Life down on Fat Radish Farm can be tough at times for Hayes Lindsay. YOUNGSVILLE -- It's been nearly a year since Youngsville vacated its old town hall and police department properties. This coming Thursday, Youngsville commissioners are expected to decide the fate of those buildings and property. "I know it feels like we've drug this out ... and I apologize for that, but I just want to make sure we make the best use of it and make sure it's the right decision," Mayor Fonzie Flowers said during a Feb. 1 work session. LOUISBURG -- The Franklin County Board of Commissioners approved three new county positions, but not before getting into a discussion about the best way to outfit the new employees. And, it led to another tete-a-tete between Commissioners Michael Schriver and Sidney Dunston. A house fire in Louisburg remained under investigation this week, but the cause appeared to be accidental, authorities said. 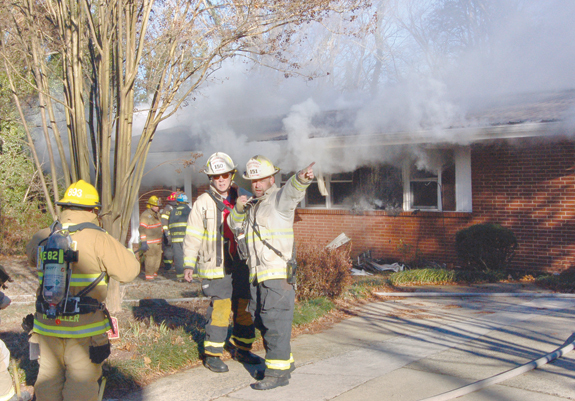 Louisburg and area firefighters responded to a call at 206 John Street the afternoon of Feb. 2 to find fire and smoke billowing from a red brick home at the end of the block. The blaze sent grey and white smoke flowing over nearby Bickett Boulevard -- the town's main thoroughfare. The underdogs barked -- and the Patriots went home to ponder an uncertain future. Last Sunday night's big game pretty much lived up to all the hype -- and I can't say I was sad that the Patriots came up on the short end of the final score, although I really didn't have a dog in that race since "my" teams went out early in the playoffs. If Duke Energy has its way, your electric bill could spiral upward by as much as 17 percent soon. In other words, if you pay $100 a month now, your bill would go to about $117. More realistically, if you pay $300 a month now, your bill would quickly climb to about $351 -- or just about $612 a year. Beginning next week, residents in and around Franklin County can begin to do one of two things: Cement their support of incumbents and the status quo or dare to be leaders, themselves. The official filing period for the spring primary begins at noon on Monday, Feb. 12. Dear editor: I've been reading the letters sent to The Franklin Times over the last few weeks and I feel it's time for me to express my feelings as well. 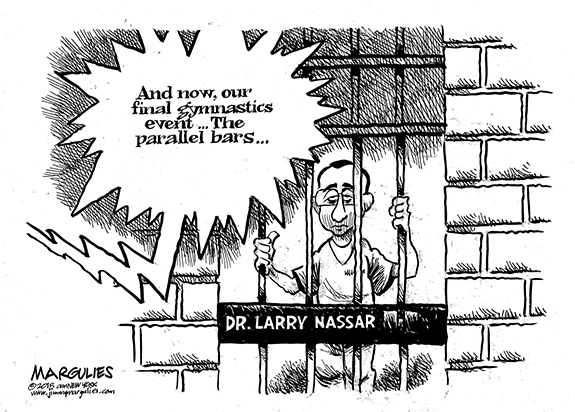 I grew up in Warren County, but I've been a resident of Franklin County for over 30 years. When I was a child, we came to Louisburg maybe once a month, which was a big thing for us as children. LOUISBURG - Dorothy Bobbitt Pernell, 78, of Louisburg, passed away Tuesday evening at her home surrounded by her family. LOUISBURG - Kate McMillan Felton, 74, died Saturday, Feb. 3, 2018 at Rex Hospital. 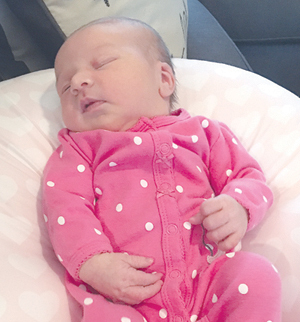 A memorial service will be held 3 p.m. Saturday, Feb. 10, in the chapel of Strickland Funeral Home. The family will receive friends immediately following the service. LOUISBURG--Marguerite Virginia Harris Johnston Wood died Tuesday, Feb. 6, 2018. A graveside service will be held Friday, Feb. 9, at 2 p.m. at Pineview Cemetery. GOLDSBORO, NC - SGM (Ret) James Franklin Bell III, was born June 24, 1965, to Betty Jean Bell and the late James Bell in Goldsboro, NC. 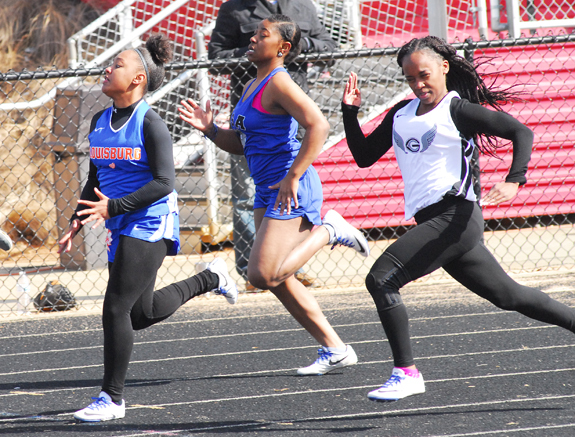 FRANKLINTON -- It's officially called indoor track and field season, though all meets are held at outdoor venues. Which is quite symbolic, considering the fact that most prep coaches feel the indoor campaign serves as a 'Spring Training' type of endeavor for when the outdoor schedule comes around in March. 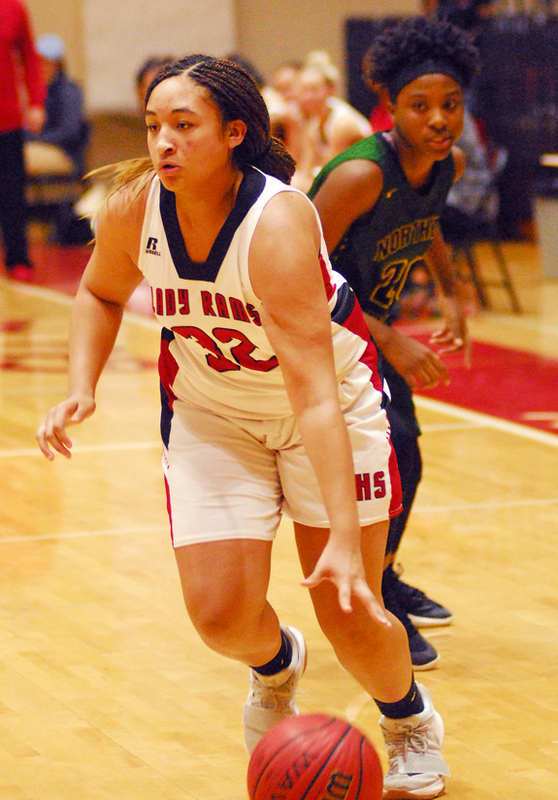 LOUISBURG -- Louisburg College takes pride in its ability to nurture quality student-athletes -- an endeavor that is saluted every season as part of a women's and men's basketball doubleheader at Taylor Center on the LC campus. 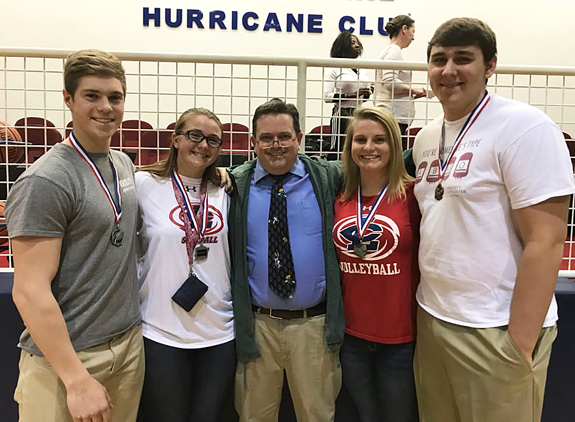 This year's event place last Wednesday as 107 Hurricanes were saluted as part of the annual Louisburg College Student-Athlete Awards Ceremony. 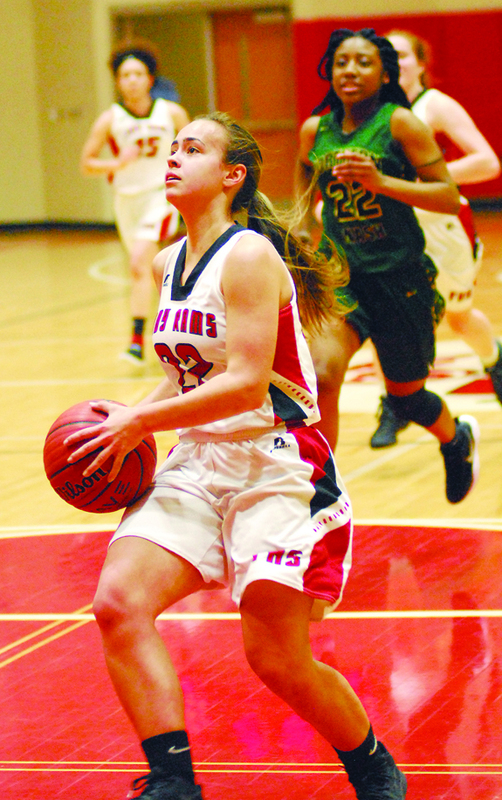 FRANKLINTON -- The Big East Conference's girls basketball standings have become a jumbled mess -- thanks in part to league newcomer Franklinton. 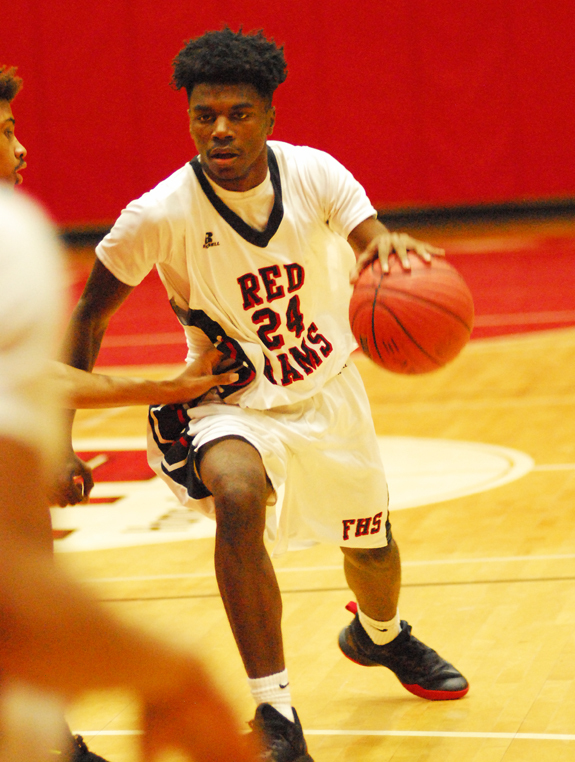 During the early portion of the Big East schedule, FHS dropped heartbreakers at Rocky Mount and Northern Nash -- only to avenge those setbacks in convincing fashion the second time around. FRANKLINTON -- Coming into last Friday night, Northern Nash boasted a 17-1 record, and Franklinton sat at 2-14 during the 2017-18 boys prep basketball campaign. While looking at the records, one might've expected a blowout heading into the competition. However, the visiting Knights would barely slide by in a 54-53 win over the Red Rams in Big East Conference action at the FHS Gymnasium. 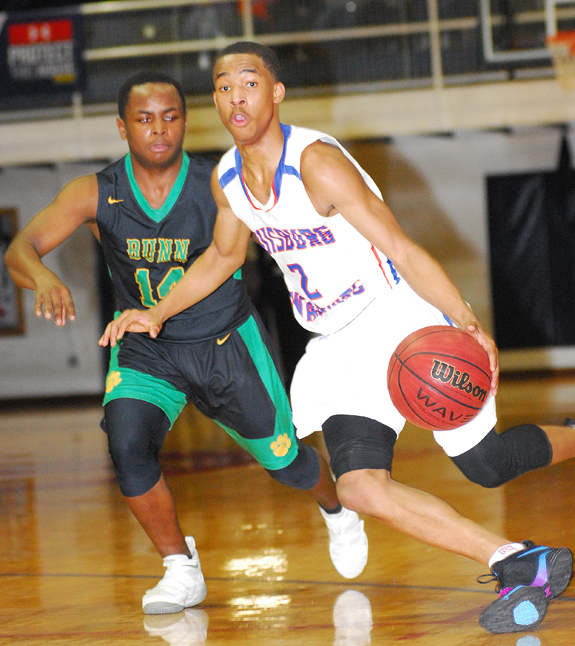 LOUISBURG -- On the biggest stage of the regular season, the surging Bunn High School boys basketball team put together possibly its finest performance on the 2017-18 campaign. Bunn was nearly unstoppable from the field, converting a whopping 16-of-29 three-point attempts as part of a convincing 81-36 triumph over rival Louisburg in Northern Carolina Conference action in front of a huge crowd at the Taylor Center on the campus of Louisburg College. ROCKY MOUNT -- Southern Nash claimed the top spot in the varsity category at the recent Big East Conference Cheer Competition Championships at Rocky Mount High School. The title-winning Firebirds, coached by Ashley Bass, were followed by (in order) Franklinton, Wilson Fike, Wilson Hunt, Rocky Mount and Northern Nash. LOUISBURG -- Louisburg College will kick off its 2017 softball season this Friday at home against Patrick Henry Community College. The doubleheader will begin at 5 p.m. at Sheilah R. Cotten Field on the LC campus. This will be the first season as head coach for Eric Lee. ZEBULON -- The Carolina Mudcats have announced that individual game tickets for the upcoming 2018 season, featuring a fully revamped weekly theme night calendar, nine souvenir giveaways, four themed game jerseys, two Dirty Dogs Spa Bark in the Park games and 15 total fireworks nights, are now available for purchase online at www.carolinamudcats.com and at the Five County Stadium front office. Franklinton's Rachel Black scores on a breakaway layup last Friday versus Northern Nash. 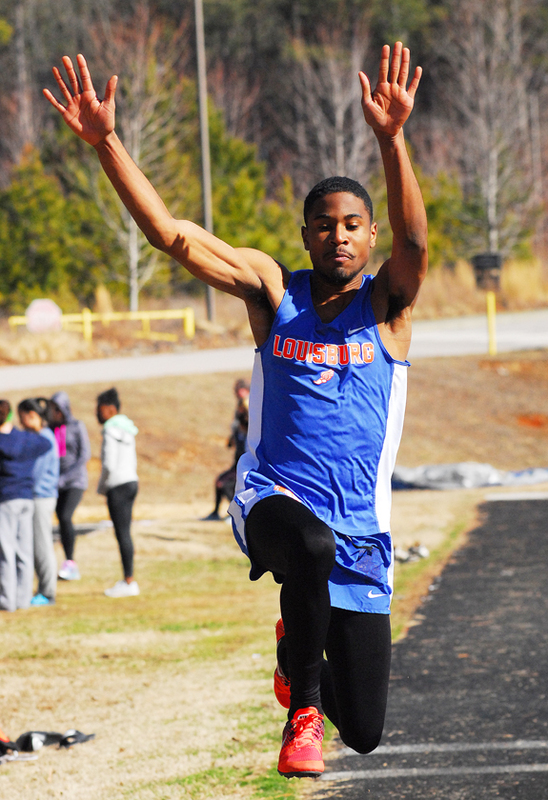 Louisburg High School's Lena Williams (left) outlasts the competition at last Saturday's indoor track and field meet at Franklinton. 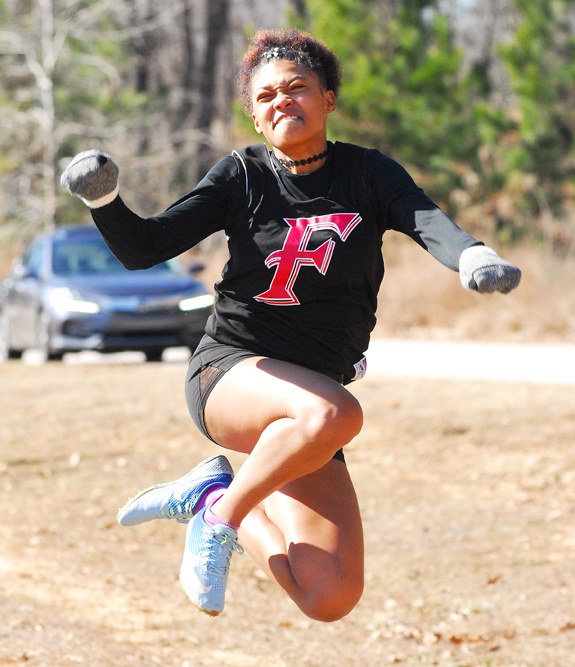 Franklinton High School's Mykiah McMullins competes in the girls long jump competition during last Saturday's indoor track and field meet at the FHS Football Field. Louisburg High School's JyQuan Taylor (right) drives past Bunn's Jaylen Perry on Tuesday. 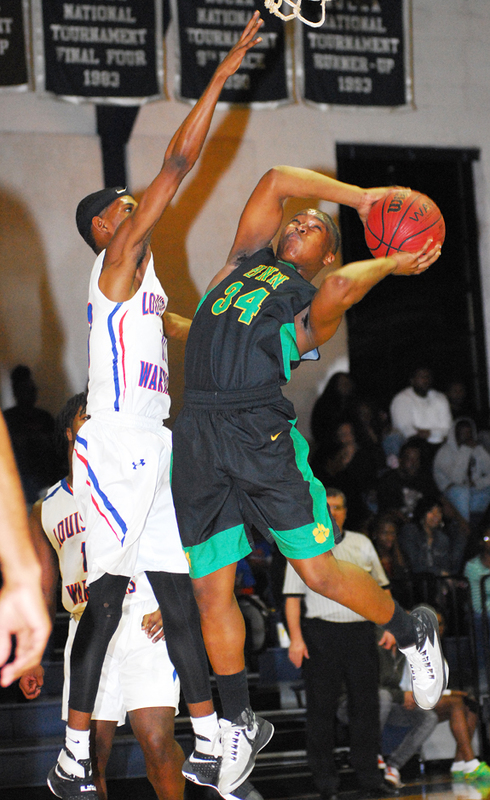 Bunn High School's Deaundra Moses (with ball) secures two points in the paint during Tuesday's victory over Louisburg at Taylor Center on the Louisburg College campus. The National Dance Company of Ireland will be performing on the Gardner Stage at Louisburg College's Seby B. Jones Performing Arts Center (JPAC) on Friday, Feb. 23. 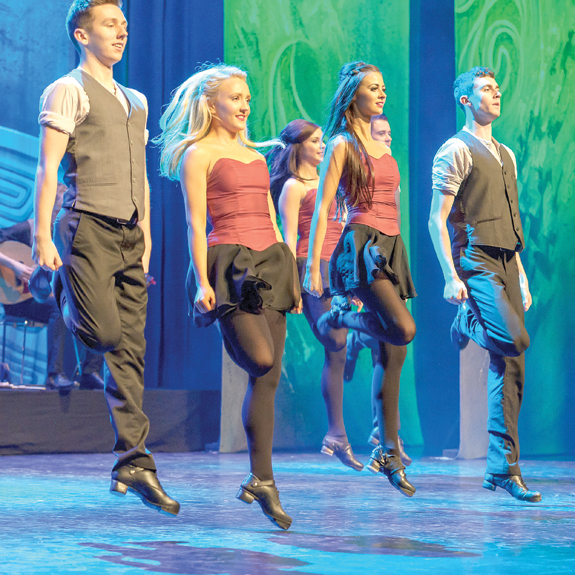 The two-hour dance and music extravaganza contains a wealth of Irish talent, and relives the journey of the Irish Celts throughout history. This richly costumed show marries the contemporary and the ancient by combining traditional dance and music with up-to-date stage technology. 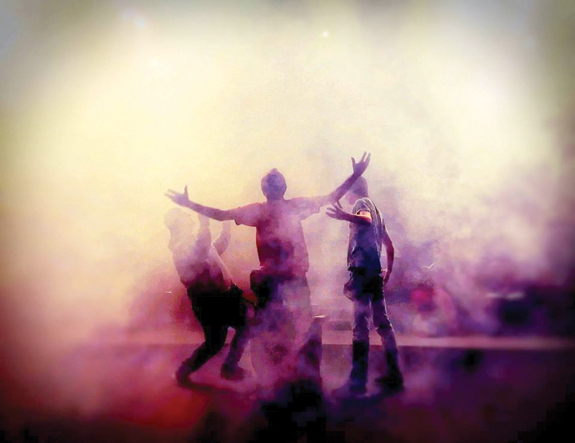 Louisburg College is planning its February production of Macbeth by William Shakespeare. Norris Theatre Director Wally Hurst will direct the production. Macbeth will be presented Feb. 15 through Feb. 25. Macbeth is a tale of ambition and a lust for power that manifests itself in murder and treason, with an unhealthy dose of the supernatural thrown in for extra creepiness. 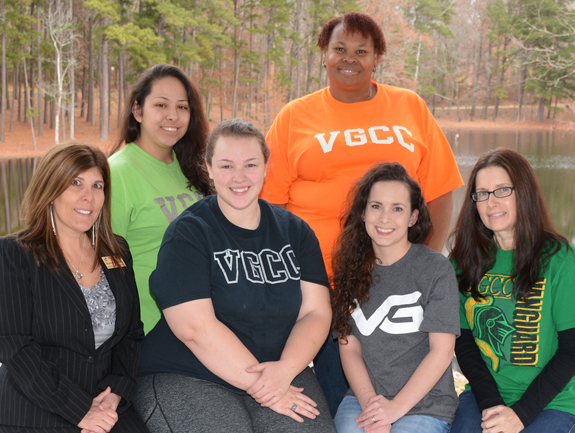 HENDERSON -- The newest club for students at Vance-Granville Community College focuses on the Human Services Technology (HST) field. The college offers three Human Services degrees -- a General HST track, a Substance Abuse track, and a Gerontology track -- although interested students in any major are welcome to join the new club. YOUNGSVILLE -- Sheriff's deputies arrested a northern Franklin County man they allege burned down a home near Youngsville. On Feb. 5, authorities charged Christopher Wayne Alley, 29, with one count of second degree arson after investigating a residential fire at 66 Jenny's Way -- northeast of the town, proper. LOUISBURG -- Franklin County commissioners approved on Monday night the final payment for a radio system that has been plagued by issues since its fall 2012 installation and, admittedly, will need continuous upgrades to meet emergency response needs. However, once a receiver frequency was replaced and a county tower in Youngsville was outfitted with equipment in the fall of 2016, service improved, county emergency staff said. A Youngsville Elementary School student apparently boarded a county school bus Wednesday morning carrying a BB gun. According to a preliminary investigation by school officials, the gun was discharged while the bus was enroute and the BB hit another student in the leg. "According to our bus driver's statement and student witnesses, it appears the shot was not intentional," Principal Caroline Linker told parents in a letter she issued not long after the incident. YOUNGSVILLE -- Police arrested an Apex man who led them on a Monday evening chase that ended with officers deploying a taser to affect an arrest. Jalen Khalil Rogers-Hicks, 22, was charged with alcohol and driving charges. According to a report, Officer J. Magsi was responding to a call of careless and reckless driving along U.S. 1 north of Holden Road when he saw a black Nissan Altima traveling at a high rate of speed. Andrejev Galleries, 105 S. Main Street in Louisburg historic district will showcase local artist Billy Farmer beginning Friday, Feb. 9, with an opening party from 7-9 p.m. The exhibit will be on display until April 22. Farmer is one of North Carolina's best known contemporary impressionists with an eye for color and impressionist hand for lively brushwork. 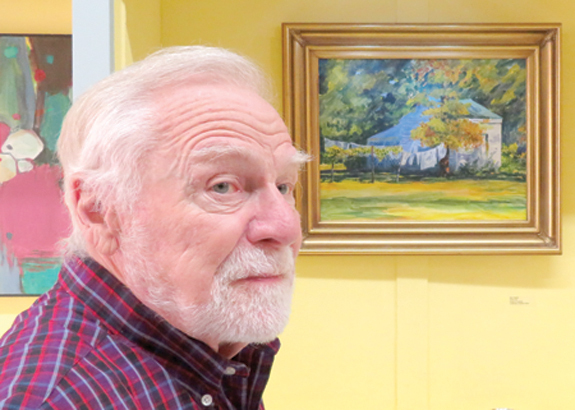 His paintings are a testimony to the natural beauty of our indigenous landscape and small town life in North Carolina. Although a well-known visual artist, Billy Farmer's career until the past two decades had been music.